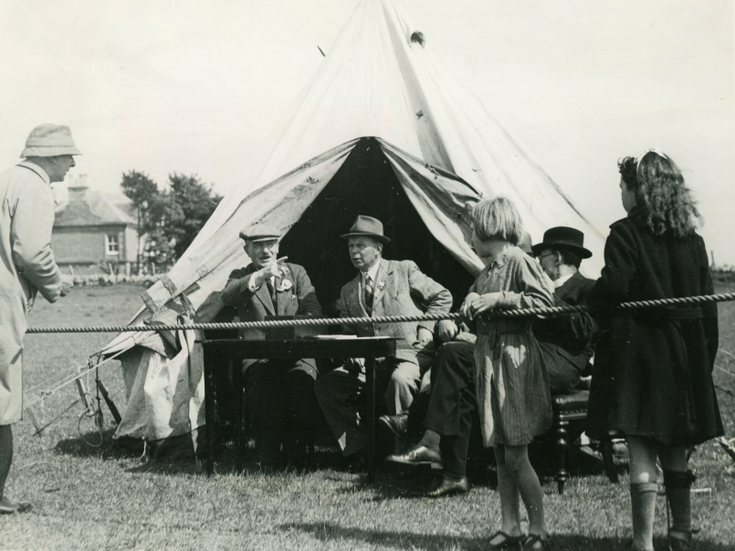 Monochrome photograph of the stewards tent at the Victory Sports day held on 8th June 1948. Left to right: William Hewen, Hector Munro, Willie Skinner (Snr), Rev MacLeod and unknown children. The photograph was taken by Bremner.